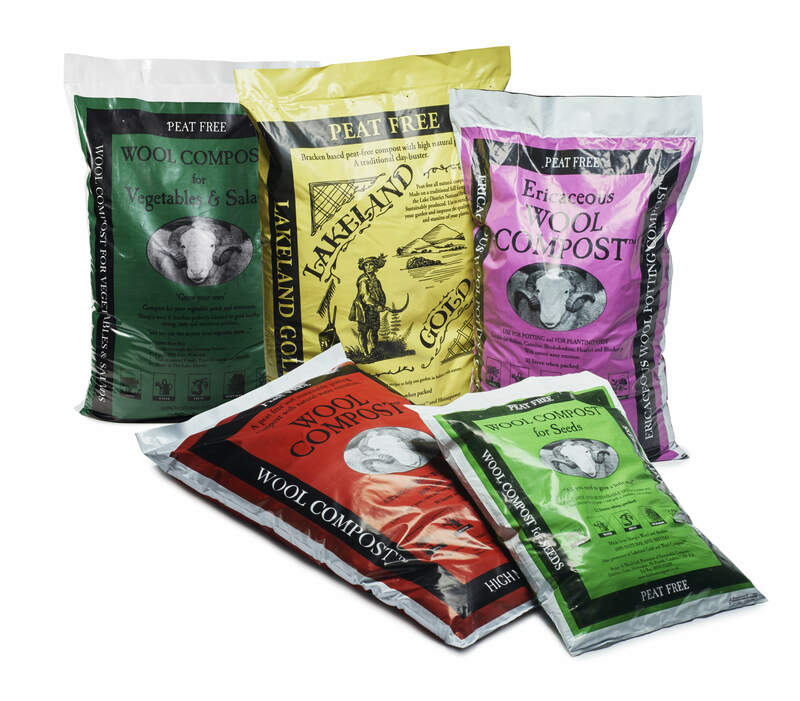 WE ARE LOCAL STOCKISTS of a revolutionary compost, 20 years in the making, proven quality (we use nothing else ! ), peat free and no additional feed required for a year !! And no there are no 'woolly bits' ! - its an easy to handle, soft, light compost. Wool Compost is a blend of bracken and British sheep’s wool, from the Lake District. Bracken provides naturally high levels of potash, essential for fruiting and flowering, and significant levels of iron and magnesium to nourish strong healthy plants. Sheep's wool ensures good water retention, due to its natural hydroscopic properties, and naturally high levels of nitrogen. As the proteins in wool breaks down, nitrogen is gradually released, acting as a slow release fertiliser essential for abundant fruiting and flowering. Planting pits & filling raised beds. Range of Wool Composts for specific uses. High level of potash in the bracken promotes flowering and fruiting. Plus it contains natural micro-nutrients for growing healthy and delicious produce.